Frostpunk is coming to Xbox One and PlayStation 4 this summer, so those without a gaming PC can check it out. 11 Bit Studios is bringing its sprawling "society survival" strategy game Frostpunk to consoles this summer. Frostpunk originally debuted on PC back in April 2018, but now it will be coming to Xbox One and PlayStation 4 this summer as Frostpunk: Console Edition. 11 Bit Studios made the announcement, noting that the new version of the game will be "adapted for consoles" with revised controls and adjusted mechanics to make sure it plays better on consoles. The game, if you're unfamiliar, places players in charge of a society hanging on by a thread in the middle of a frozen post-apocalyptic world during an alternate version of the 19th century industrial revolution. As the leader of one of the last societies on Earth, you'll work to build up your survivors' city, discover new tech, and manage the city's inhabitants to the best of your ability, whether that means ruling with an iron fist or being a compassionate and caring leader. There aren't any details currently on what changes are coming with the console version other than the needed enhancements to make it viable on the systems it's been announced for, but there is an announcement trailer you can check out ahead of time. "Frostpunk is a unique take on city-building and crisis management that manages to make you care about the simulated humans that make up your workforce and citizenry in a way that other games in the genre don't. Each person is an integral cog in the machine that keeps your city warm and alive and managing their needs along with the resources that you require made for a frantic and rewarding experience. The game does lose a bit of its luster after you beat the main scenario, but the two additional stories do put what you learned to the test. 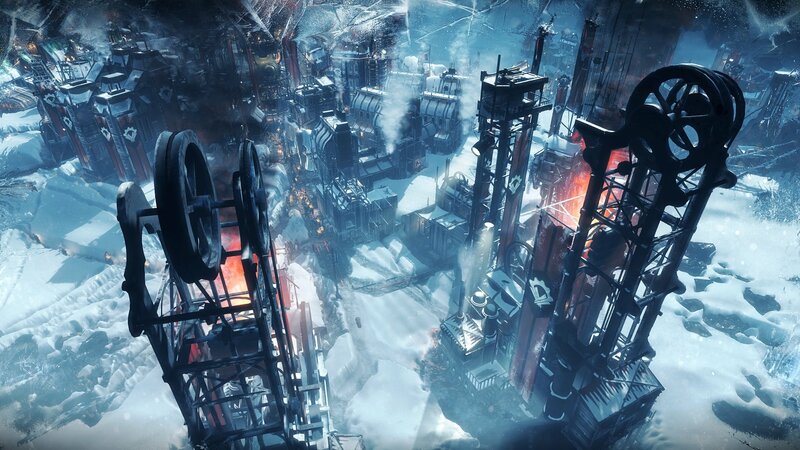 I'm eager to see what new situations 11 Bit Studios adds to the Frostpunk in the future, as the concept has a ton of untapped potential." Looking to give the game a try? Keep an eye open for Frostpunk on consoles when it debuts later this summer.